For many reasons buying property in another country can be an excellent decision but it should never be a simple one. Buyers often dream of owning properties abroad. Maybe it is the lure of exotic lands, retirement or simply a smart investment. Regardless of their motives, most buyer lack the experience in navigating to foreign places nor do they know what to do or how to buy globally. Foreign Buyers need help establishing connections with local professionals who can offer valuable purchase assistance, including local Real Estate Agents, Attorneys, inspectors, property management professionals, etc. This is one area where CIPS Professionals can help. The principle owners of Atlanta Home Connections (AHC) carry the CIPS designation. There are only approximately 2500 CIPS designees currently World Wide. We have the education, network and resources to help buyers work through all the most important considerations before completing a purchase. 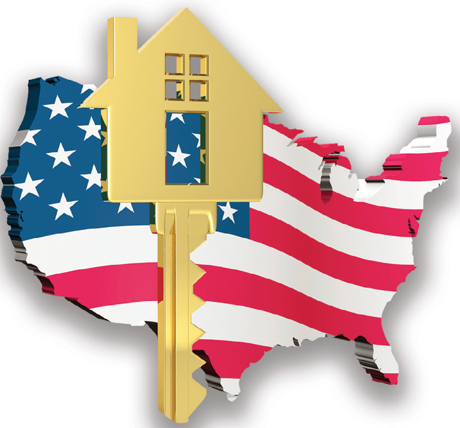 A foreign buyer should never assume that real estate practices in other nations mirror those in their own country. Every market is different, in terms of how properties are marketed, how ownership is secured and who gets involved in completing a transaction. AHC are members of the Georgia and National Association of Realtors an organization established to educate with a belief of strong ethics practiced by all of our agents. AHC is governed by the Georgia Real Estate Commission. A state organization that examines our books and Brokerage practices to insure fair and equal treatment to everyone, Foreign and Domestic. Metro Atlanta is one of the largest markets investors are seeking to purchase income producing properties. In fact, it is ranked in the top ten for Foreign Investors. Benefits to owning property in Metro Atlanta. The prices in Georgia are much less than in many other States. The Investor market has skyrocketed even with prices rising; Prices in Georgia are still below market pricing creating a tremendous value for the Foreign and Domestic Investor. There are several reasons the International Investor is purchasing in Atlanta. First is for our Universities. More and More foreign investors are purchasing so their children have a place to live while they are in school. Georgia Technical Institute, Emory University, University of Georgia and Georgia State University round off as the top schools the foreign investor is seeking to be near. There are Countries struggling to support their elderly, for example Japan but there are many more. Cost of living is lower in the U.S. than many Countries and housing prices are cheap comparatively speaking. Even with the increase in sale prices and exchange rate it is still a better investment than in their own country. In many countries you cannot own the land the house is on. In other parts of the U.S land is at a premium. In Georgia the average size lot is 1/3 of an acre (1350 square meters) to .5 acre (2024 square meters). In North Georgia, Buford, and North West and East of Metro Atlanta, the average lot size is .5 to 1 acre (4047 square meters). You don’t just own the land; you own a lot of it! It is much easier in Georgia to close on the property even easier than other states. If you are purchasing a foreclosure for instance, since Georgia is not a Judicial State, the Mortgage Company can foreclose in 30 days allowing the property to come available to potential buyers very quickly. If it’s a cash sale the attorney just needs to pull title which usually takes 7 days and close the next day. Purchasing with a mortgage normally takes 30-45 days. Obviously there are necessary steps to ensure the property is filed with the court correctly and title is conveyed properly. But it is much easier and can be thousands of dollars less than other countries. Essentially, buying properties in Georgia is a good deal whether you are purchasing for your child to go to school, Retirement or to own rental properties to invest in your future. Buford Real Estate and Metro Atlanta is a safe investment.